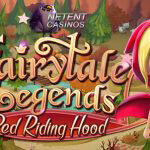 Fairytale Legends: Red Riding Hood™ is now available at the majority of the NetEnt Casinos bringing an exciting game based on one of the most famous fairytales around. The popular girl, famous for her red cap and cape, can now be found on the reels in the new feature-packed video slot from NetEnt. 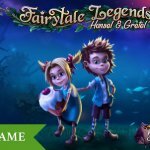 As no other, NetEnt brings the good old fairy tales back to life with a chance to follow Little Red Riding Hood on her journey through the forest, and maybe you can prevent the girl falling for the Big Bad Wolf’s traps in the Beware the Wolf Bonus Game while enjoying Sticky Wild Re-Spins, 3 Random features, and 3 Free Spins Bonus Feature as well. For some reason, I already knew that the Fairytale Legends: Red Riding Hood™ slot wasn’t going to be the first and the last fairytale-themed video slot and now NetEnt has confirmed my suspicions. I was right and we can indeed look forward to many more fairytale-themed video slots in the near future. How many titles this slots series is going to consist of NetEnt didn’t mention, but it’s great to fantasise about possible titles such as Fairytale Legends: Cinderella™, Fairytale Legends: Beauty and the Beast™, Fairytale Legends: Pinocchio™, Fairytale Legends: Aladdin™, or Fairytale Legends: Hansel and Gretel™. I can go on forever because there are hundreds of fairytales available on the internet and in recent years, many fairy tales have been adapted for the screen. Blockbusters such as Snow White and the Huntsman (2012), Red Riding Hood (2011), Jack and the Giant Slayer (2013), Hansel and Gretel: Witch Hunters (2013), and Maleficent (2014) have created a rise in popularity regarding fairy tales. While the above fairytale-themed films stray from the stereotypical children’s tales and offer a darker version of the well-known stories, NetEnt doesn’t. Although Red Riding Hood doesn’t really look like a little girl, the Big Bad Wolf hasn’t changed a bit in the Fairytale Legends: Red Riding Hood™ slot. 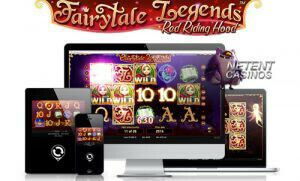 One thing is for sure, the Fairytale Legends: Red Riding Hood™ slot brings you back to childhood. Not only because of the story, but also because this video slot has been enriched with a board game type of bonus game based on the Little Red Riding Hood fairytale. As magic as the fairytale itself, as magic are the online slot features the Fairytale Legends: Red Riding Hood™ slot is offering including Fairy Magic Spins, Fairy Wild Spins, Fairy Surprises, Coin wins, Free Spins, and the Beware the Wolf Bonus feature. A couple of days ago, I’ve been playing this video slot for a while as it was already available at Klaver Casino. While playing the Fairytale Legends: Red Riding Hood™ slot, I ended up in the Beware the Wolf Bonus twice. An adventure on its own I can say as you get a chance to follow Red Riding Hood on her way through the forest. A dangerous walk, so it seems as she has to be extremely careful not fall for the Big Bad Wolf his traps. But being a game of chance, there’s not much you can do other than hoping for Red Riding Hood to make it to her grandmother’s house with the possibility of winning 200 times your bet. This is the main slot feature available, but there’s much more to look forward to like the Random features involving a ‘Tinkerbell’ type of fairy. She’ll be responsible for a Fairy Magic Spin, a Fairy Wild Spin or a Fairy Surprise Spin. With a wave of her wand, you might end up with one of the spellbinding Random Features. A slot feature I personally like is the Sticky Wild Re-Spin activated when two or more Wild symbols appear on the reels in the main game. All Sticky Wild symbols available on the reels from the spin that activated the Sticky Wild Re-Spin will remain in the same position on the reels during the Sticky Wild Re-Spin. Newly activated Wilds during a Sticky Wild Re-Spin will activate another Re-spin just until no new Wild symbols are added. This slot feature is known from the Jack Hammer™ slots proving its popularity for years already. 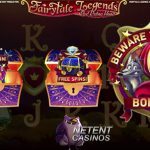 As no other, NetEnt is able to bring a fairytale to life including an enchanting design, magical gameplay, and innovative slot features. 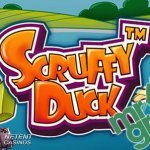 A good reason to find your way to one of the many NetEnt Casinos without the risk of opening an account at a Big Bad Wolf’s website as I assure you that all the NetEnt Casinos on this site are 100% safe and reliable!